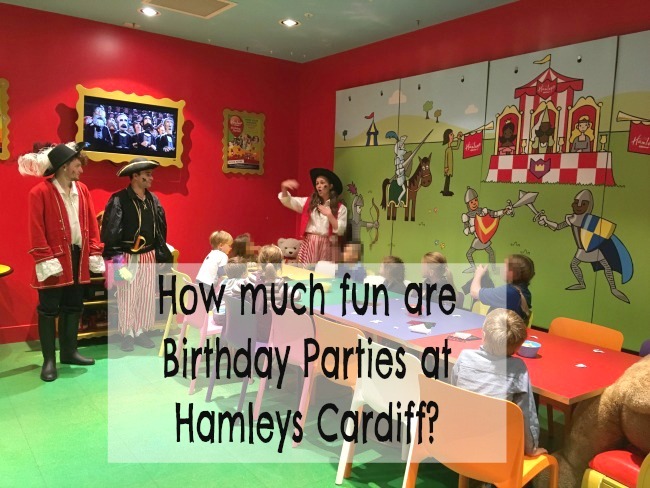 How much fun are Birthday Parties at Hamleys Cardiff? 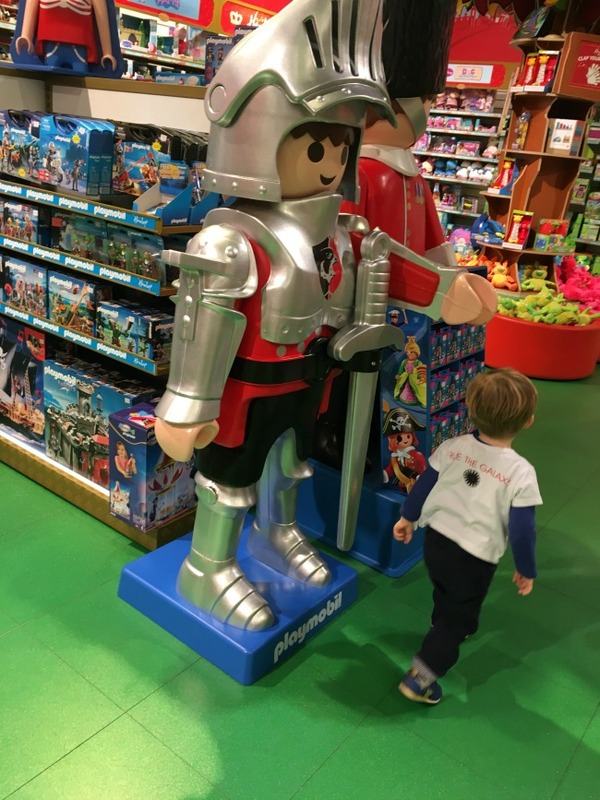 Parties* at Hamleys are not cheap. 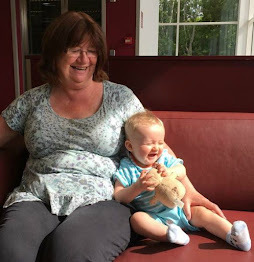 They cost between twenty-five and thirty-five pounds per child, depending on the theme. They require a minimum of 10 children and maximum of 16. 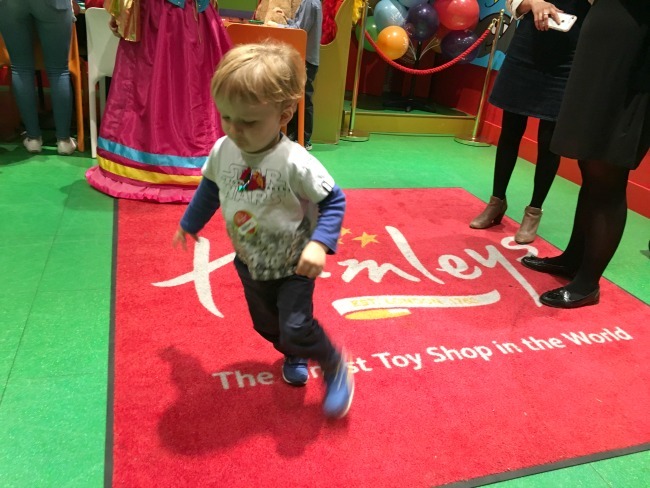 So we know how much they cost but how much FUN are Birthday Parties at Hamleys? 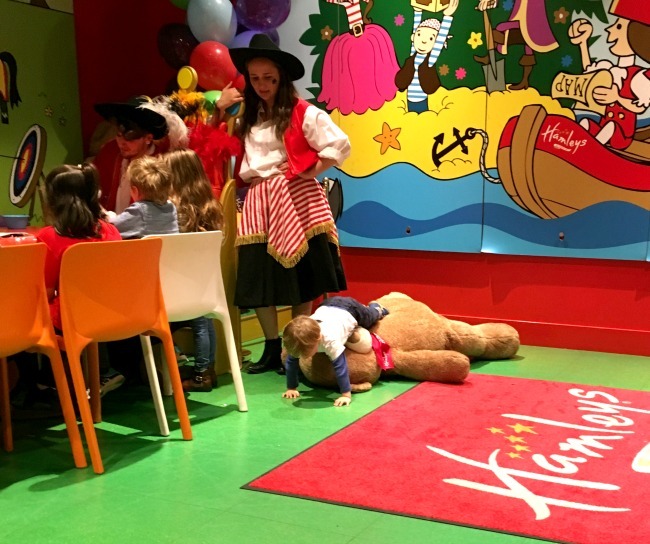 We were really lucky to be invited to a "pretend" birthday party at Hamleys in Cardiff. Pretend? It was a staff training party and there was no birthday boy or girl just a bunch of excited children willing to test the entertainers to the limit. Is that enough? Well for me yes, I spent many years planning parties for my children and I worked full time. I tried parties at home. I found them a nightmare, stressful, messy and chaos, so I tried hiring a hall and it was worse. Then I found organised parties in fast food restaurants. 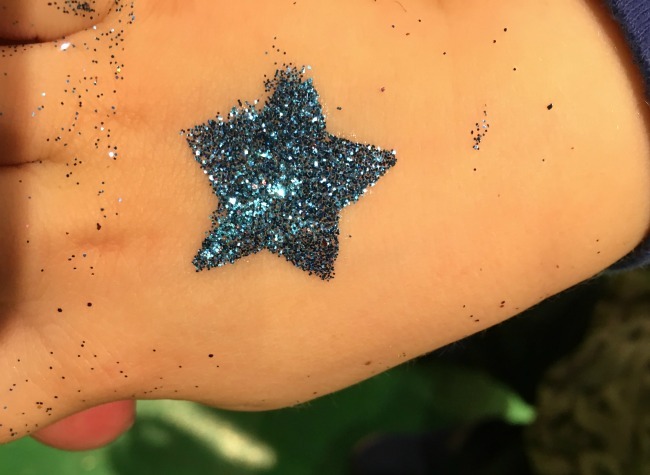 They were expensive, lasted about three quarters of an hour and the children loved them. I loved them. 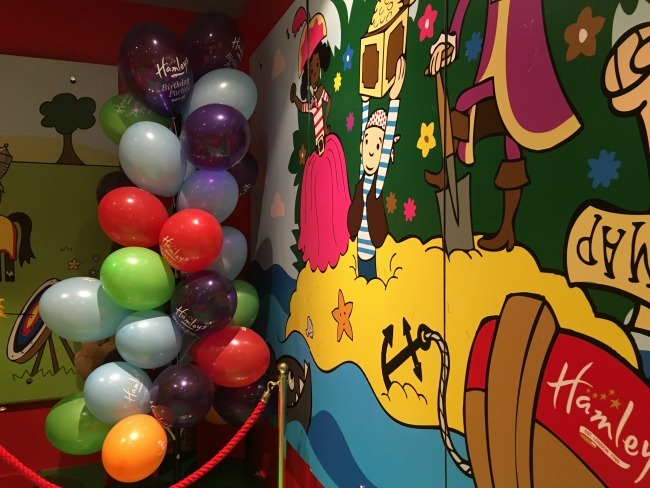 So for those parents who, like me, would love others to host their child's party how much fun are birthday parties at Hamleys Cardiff? The party we attended was their Pirates and Princesses. 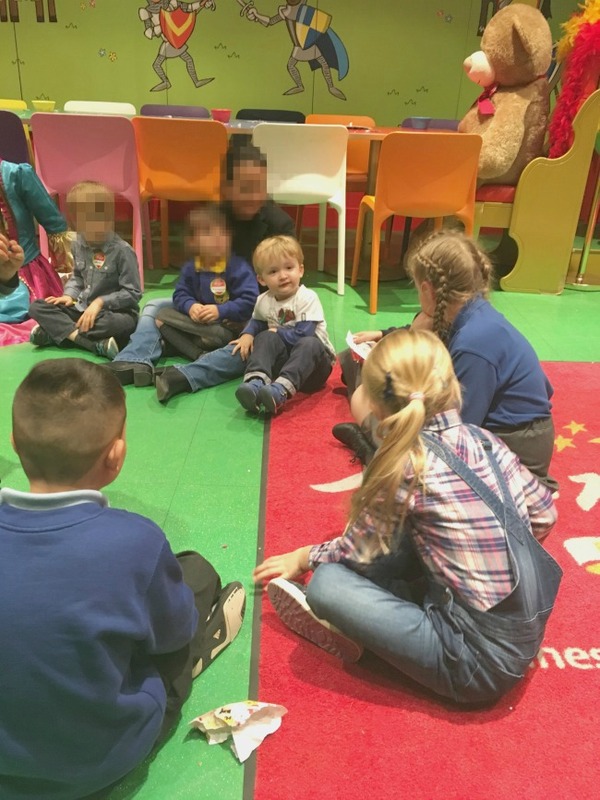 It costs £35 per child for a two hour party. Because we were attending a training event we didn't have cake or food. be too old for Bear but he loved it! OK he couldn't play all the games but that really didn't matter, he had so much fun. We were met at the door by three pirates and a princesses. When all the children had arrived they went on a treasure hunt to find the password to open the door to the party room. The fun had already started. The room is at the back of the store and decorated in the theme of the party. We started the party with badge making. I thought this would be too difficult for Bear but he persevered, with some help, and made a colourful pirate. The entertainers helped the children all the way through and everyone completed their badge. They then played lots of traditional party games. From Duck, duck, goose, to statues and pass the parcel. I helped Bear pass the parcel as sharing is quite a new idea for him. The entertainers made sure every child had the chance to tear a layer off. Bear was awesome, once he had removed his layer he had enough and played with the giant teddybear entertaining the adults. Then they had some more games and some magic. Bear didn't like the magic so he played with the Bear and runaround lots. He loved it. Bear making up his own games. 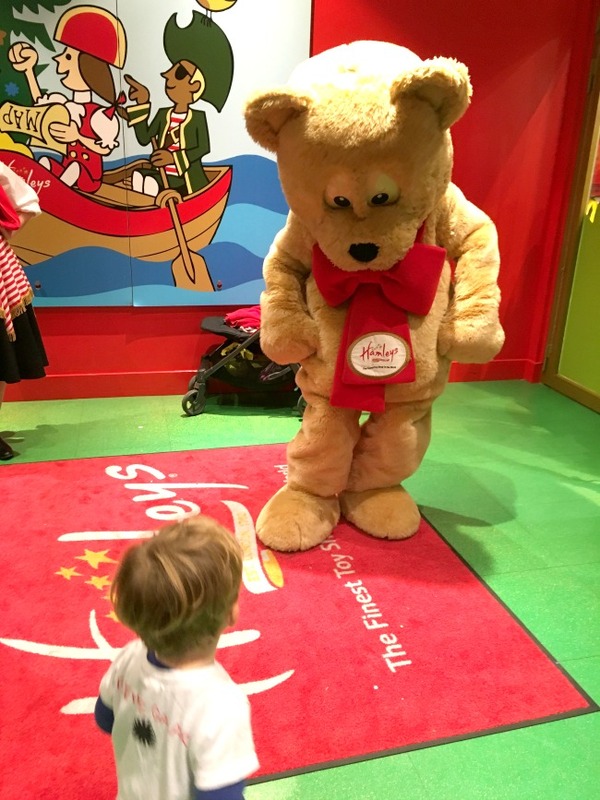 "Falling Off The Bear"
Hamleys bear made an appearance to the joy of all the children. The entertainers were amazing. They didn't stop for the whole two hours making sure that all the children were having fun. 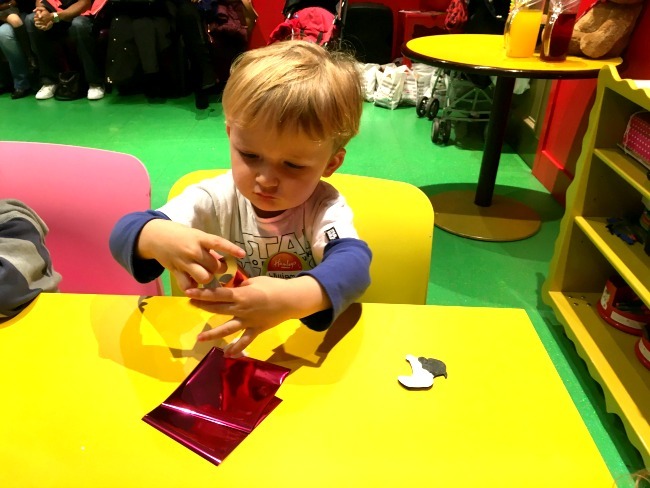 Hamleys is right in the middle of Cardiff's fantastic shopping centre so children can be dropped off and the parents can go shopping or have a coffee. We absolutely loved it. 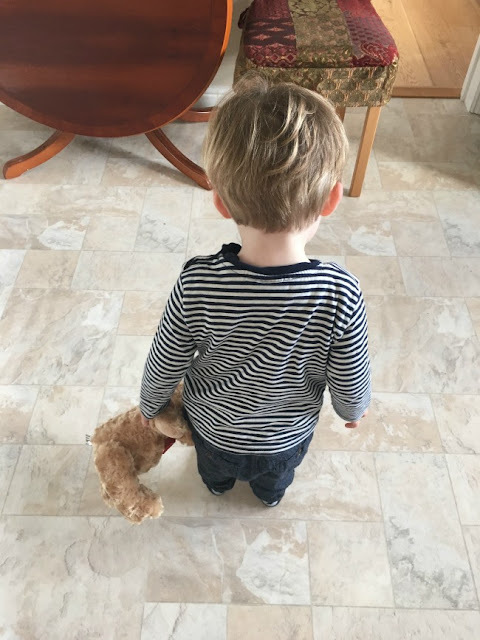 I had to help Bear a little because he was too young but all the other children were happy so it is a really stress free time. 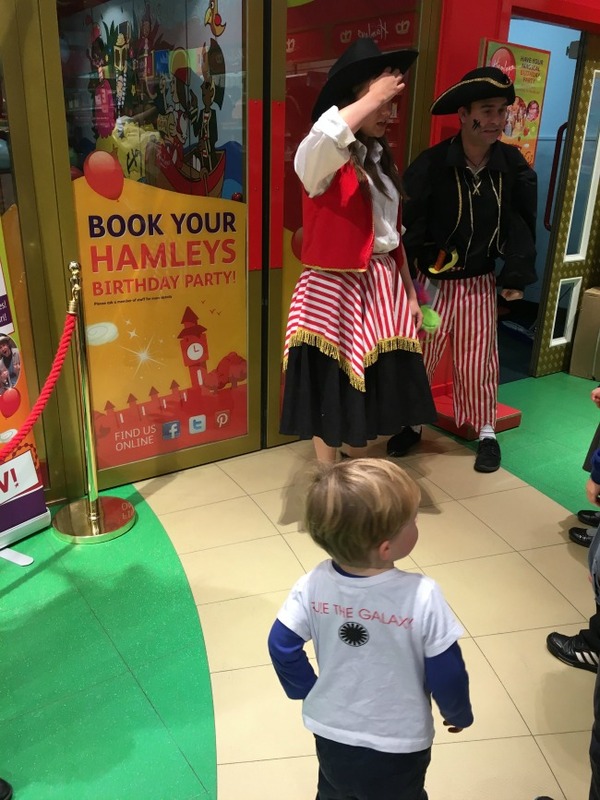 Have you been to a party at Hamleys? Did your children love it? 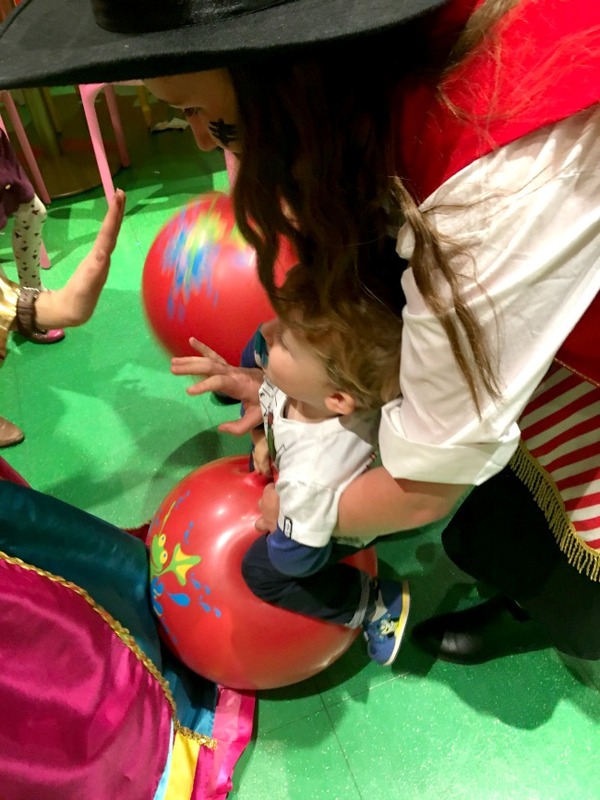 *we were invited to Hamleys to help with their staff training. We were not required to write a review and all our opinions are honest and our own.